The debut of the Alfa Romeo Giulia in 2017 had a lot of enthusiastic drivers drooling at the prospect of getting their hands on the Italian premium-compact sport sedan. The one that got all the attention (some of it bad, it turned out) was the 505-horsepower Quadrifoglio model, but with a price that started north of $70,000 it left quite a few would-be owners with their nose pressed enviously on the showroom-window glass. The Giulia Ti certainly looks the part of a premium-brand sport sedan. Standard equipment includes keyless entry and starting, power folding heated mirrors, heated front seats and steering wheel, and a carbon-fiber driveshaft. In time, though, there were more affordable (read near-$40,000) base and Ti versions, and after a couple of rendezvous with Quadrifoglios, Consumer Guide® editors finally got to try a Ti—even if it was, at this late date, still a ’17 model. It’s not like there’s a world of difference between it and the 2018 model anyway; the starting price of the current rear-wheel-drive Ti is $40,195, a $200 bump from the first-year job. Non-Quadrifoglio Giulias have a different driving nature than their high-priced sibling. 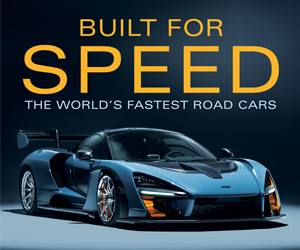 That’s to be expected when you swap a 505-hp 2.9-liter twin-turbocharged V6 with Ferrari genes for a 2.0-liter turbo 4-cylinder with 280 horsepower and 306 lb-ft of torque. 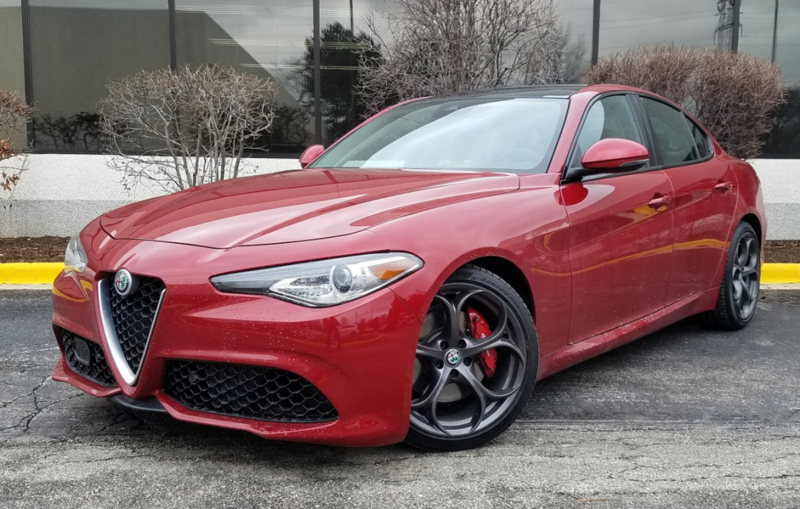 The change in go-power is the extremely obvious difference, and there are others, but there are some elements that make a “lesser” Giulia an eminently worthy sport sedan. The Giulia’s swoopy dashboad design is appealing, though there are a number of ergonomic and control-interface peculiarities that will frustrate some drivers. Rear-seat space quickly grows cramped behind a tall front-seater. When the time comes to get moving in a hurry, turbo lag will beg the briefest moment of your time before the energetic four hits its stride, building speed quickly and smoothly. It provides good power for merging or highway cruising, with a warm but not overpowering exhaust note. The standard 8-speed automatic transmission kicks down promptly for assured passing, and quick-acting shifter paddles mounted on the steering wheel are optionally available for folks who like to take matters in their own hands. 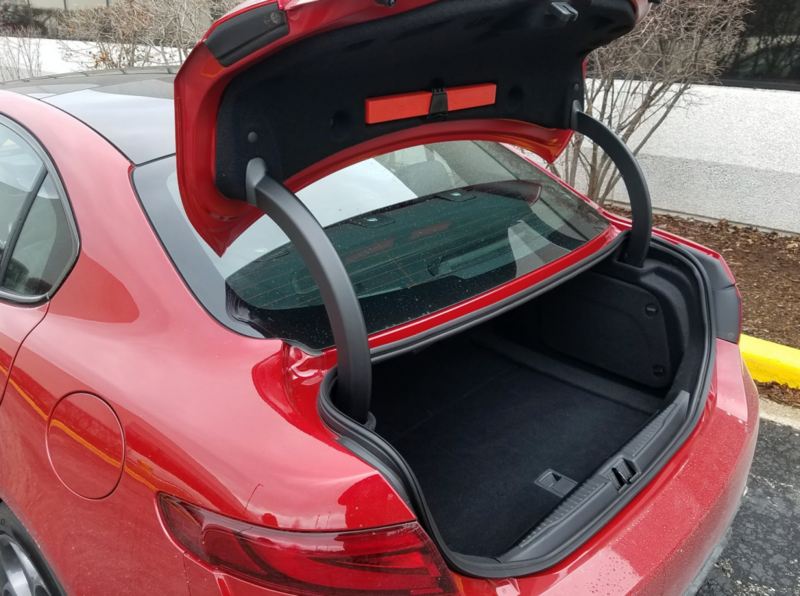 The Giulia doesn’t trump any of its class competitors on trunk space, but the cargo area is nicely finished, and the covered trunklid hinges don’t crush cargo. As expected, 4-cylinder Giulias are kinder with a gallon of gas than a Quadrifoglio. This driver averaged 24.2 mpg with the Ti after a stint of 185 miles that included 40 percent city-style operation. That may not seem too bad for a performance-oriented car, but the EPA thinks it can do better. Its mileage estimates for this powerteam are 24 mpg in city driving, 33 mpg on the highway, and 27 mpg combined. A fairly unobtrusive top/start in pursuit of fuel savings is standard, and the “Advanced Efficiency” setting on the DNA drive-mode selector enables gas-conserving cylinder deactivation. On the inside, overall layout and space are the same from one Giulia to the next, but there are some key differences in detail. Where the Quadrifoglio featured Alcantara seat inserts, colorful contrast stitching, and carbon-fiber accents, the tested Ti had black-leather upholstery and extra-cost aluminum interior highlights in place of the standard wood trim. Also, the Ti has a folding rear seat in place of the Quad’s fixed-position seat. With a 40/20/40 divide, the center section can serve as a pass-through for long items. The seats fold flat with the trunk floor, but a bulkhead behind the seats narrows the threshold between the trunk and seating area, which will restrict loading of some items. Interior space isn’t bad for a compact, with enough rear-seat room to reliably accommodate a sub-6-foot adult–if the front seats are set too far back. Rear door openings are somewhat small and complicate exits, though. Driving gauges show up well, and the steering-wheel-mounted starter button is within easy reach of the driver’s left thumb for quick starts. Rotary dials govern temperature and fan speed for the dual-zone automatic climate control, with buttons for other functions dispersed between the dials. Unfortunately, the Giulia is beset by a hypercomplicated infotainment system that makes working with the audio or optional navigation system a matter of abject frustration. The Giulia’s turbocharged 2.0-liter 4-cylinder puts out a vivacious 280 horsepower, and emits a suitably invigorating exhaust note. Our tester was outfitted with dark-finished 5-hole aluminum wheels and custom-painted brake calipers–both included in the extra-cost Ti 19-inch Sport Package. The Alfa sedan’s trunk capacity is commensurate with cars of its size class—and that is not overly abundant. Cabin storage starts with a nicely sized glove box, smallish covered console box, and a pull-out dash bin to the left of the steering column. There are twin covered cup holders ahead of the shifter, two more cup holders in the central rear armrest, pockets in all four doors (very small in back), and net pouches on the backs of the front seats. If the 2017 Giulia Ti was short of anything, it was certain standard tech features. 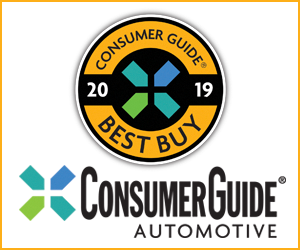 Extra spending was necessary to get things like blind-spot and rear cross-traffic alerts, lane-departure warning, and automatic headlight high-beam control. Indeed, an extensive roster of packages and individual options pushed the delivered price of the test car to a sobering $51,990. 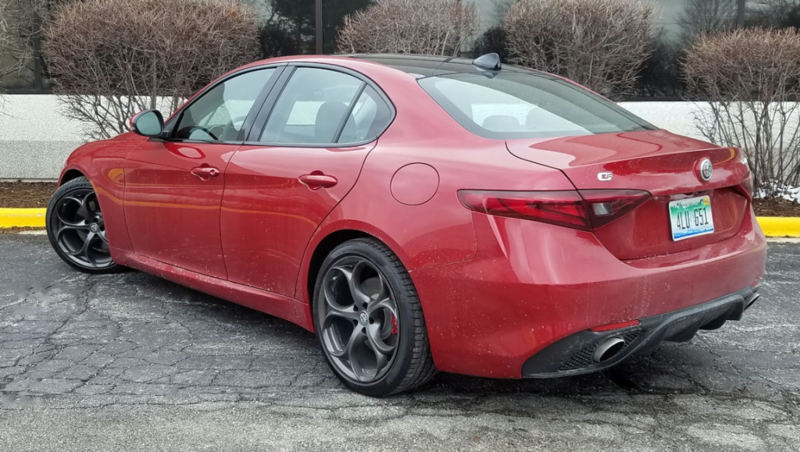 Alfa Romeo doesn’t have the established reputation of other luxury-brand compact sport-sedan makers, but the Giulia Ti is an athletic machine that, for better and worse, has a distinctively Italian character. Written by: The Daily Drive staff on May 15, 2018.on May 18, 2018.